14.7" CHF mid length Ar15 barrel. 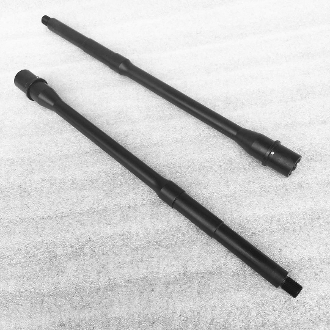 Cold Hammer Forged barrels are known for exceptional barrel life and durability. This barrel also has a QPQ Melonite / Nitride finish for added wear resistance. These are overstock from a very good CHF manufacturer, we were able to get them at a great price. we cannot share the name of the manufacturer due to NDA. If you have an issue with the barrel, we'll take care of it.